Are you thinking about having surgery to fix that painful knee but are concerned about the effects of anesthesia? Perhaps you wonder if memory loss is one of the risks of general anesthesia. Or, if exposure to anesthesia could increase your risk of dementia. Feeling nervous about receiving anesthesia and its effects on your body is normal. Several studies have explored these questions, and their conclusions will hopefully help relieve your anxiety. 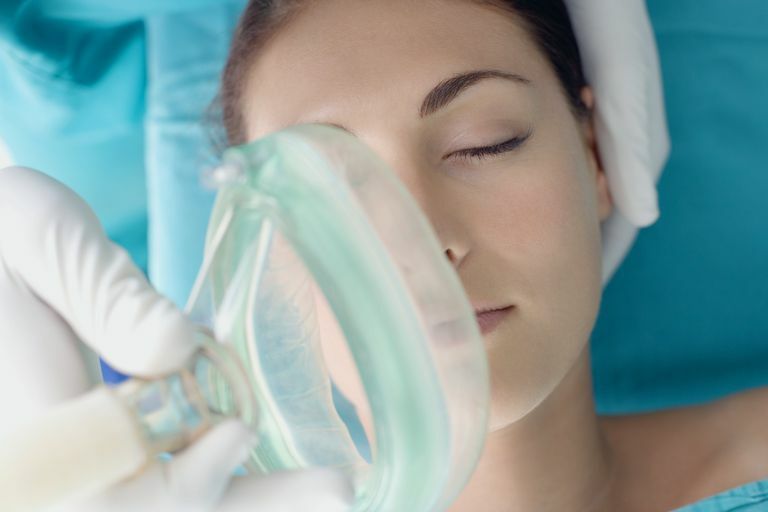 Anesthesia—where medicine is used to block pain—is commonly used during surgical procedures. Some anesthesia is local, where just the area is numbed by an injection, for example, and other anesthesia is general, where the person is medicated to place them in a deep sleep during surgery so they won't feel pain and they will not wake up until the surgery is completed. Have you ever heard someone talk about a loved one not being quite the same after general anesthesia? General anesthesia has been periodically connected to worsened cognitive functioning, but is this connection real or just a coincidence? Does research support this association? The short answer? It depends which research study you read. One study concluded that there was an increased risk of dementia after participants received general anesthesia. A second study found that people who had received anesthesia during surgery had a significantly greater risk of developing dementia specifically in the time frame of three to seven years after surgery. A third research study noted that a specific medication and type of surgery—sevoflurane (Ultane) during spinal surgery—was associated with a decline in cognition in people who had been diagnosed with mild cognitive impairment. Mild cognitive impairment is a condition that increases the risk of Alzheimer's disease, although some people with MCI remain stable and others even return to normal cognitive functioning. Research published in the Mayo Clinic Proceedings journal noted that after studying 877 people with dementia and reviewing which of these cases were exposed to general anesthesia, there was not a correlation between dementia and anesthesia. They also found that people who underwent anesthesia multiple times did not demonstrate a higher risk of dementia. The Journal of Pain Research concluded that while a few studies found a correlation between the use of anesthesia and an increased risk of dementia, there has not been enough research to determine that the two are truly related to one another. One study compared twins where one twin had experienced anesthesia and surgery and the other had not. Researchers found no significant difference between the cognitive functioning of the twins. Interestingly, one group of researchers found that not only was there no correlation between the use of anesthesia and dementia, there was actually a decreased risk of dementia in people who had anesthesia in low-risk surgeries. Why Are Some People So Confused After Surgery? While research has not yet proven a strong correlation between anesthesia and the development of Alzheimer's disease and other types of dementia, it's not uncommon for people to be confused after surgery when they wake up. Sometimes, this change may be related to delirium - a sudden change in memory, attention, orientation and thinking ability. Delirium in older adults has been correlated with a greater risk of dementia, and identification of delirium is important for successful resolution of these symptoms. Likewise, postoperative cognitive dysfunction can develop after surgery and typically is a temporary condition of decreased mental clarity. This condition usually resolves with time, although some people report more lasting effects. Delirium is different from postoperative cognitive dysfunction in that delirium is typically more of an acute, sudden, and significant change in mental functioning, while POCD is more likely to be a more subtle change in cognition. While some research has found a correlation between anesthesia and dementia, there have not been enough studies conducted to conclude that this is a true connection. So, if you or your loved one are about to go under the knife, breathe easy. Rather than worry about the questionable relationship between anesthesia and dementia, you are better off focusing on risk factors that you can take control of and what research has repeatedly shown about the risks of dementia—diet, physical exercise, and heart health can help maintain a healthy brain. Alzheimer's & Dementia: the journal of the Alzheimer's Association. 2014 Mar;10(2):196-204. Increased risk of dementia in people with previous exposure to general anesthesia: a nationwide population-based case-control study. Anesthesiology. 2 2016, Vol.124, 312-321. Cognitive Functioning after Surgery in Middle-aged and Elderly Danish Twins. Anesthesia and Analgesia. 2013 Aug;117(2):471-8. Outcomes of early delirium diagnosis after general anesthesia in the elderly. The British Journal of Psychiatry Mar 2014, 204 (3) 188-193. The British Journal of Psychiatry. Risk of dementia after anaesthesia and surgery. Clinical Interventions in Aging. 2014; 9: 1619–1628. General anesthetic and the risk of dementia in elderly patients: current insights.